Increase the curb appeal of your home with quality windows and doors from Abode Building Center. You can always rely on us to offer both traditional styles and the newest trends for the exterior of your home. Are you trying to sell your home, but could use a little bit of help? 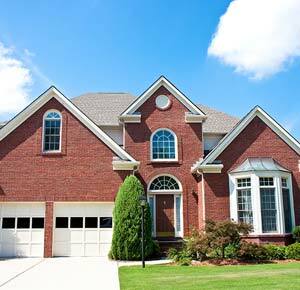 Prospective buyers make first impressions of your house as soon as they pull into your driveway. Help them make the right impression by beautifying the exterior of your home. At Abode Building Center, we have the expertise to help your home look its best. Stylish windows and doors can make all the difference. Listed below are our top 5 tips for sprucing up your home’s exterior by giving the attention your doors and windows deserve. Most of the doors we see are varying shades of white. Dare to be different by painting your door in a color you love! Also feel free to browse our selection of front doors to find that perfect addition to your home’s exterior. At Abode Building Center, we only offer quality doors that will last you for years to come. Window boxes are great for adding that pop of color and life just where you need it. The versatility of window boxes makes them a popular choice among our clients. If you decide to join the green thumb trend, be sure to plant flowers that match the color scheme of your home’s exterior. You should also keep in mind what lighting conditions are necessary for the plant to flourish so that you can enjoy greenery right outside your window. Dress up your windows with shutters in your favorite color. Shutters are not only fashionable, but functional. Is severe weather on the horizon? Closeyour shutters and feel secure knowing that your home is safe from the elements. Shutters are also great for giving your home that finishing touch so that it looks polished. Add that extra bit of charm and character to your home with an ornate doorknocker. You can get doorknockers in a variety of finishes that span from gold to black. The spectrum of colors allows you to easily color coordinate with your home’s exterior. At Abode Building Center, we offer a generous selection of doorknockers to fit your design preferences. Make your home stand out from the crowd with an elegant glass door. The possibilities of intricate designs and stained glass are endless, making your home truly unique. At Abode Building Center, we offer a wide variety of shapes, sizes, and patterns to fit the aesthetic of your home. With varying sizes of glass panels, you get to decide how much sunshine you prefer for your entryway. If you are interested in how we can beautify your doors and windows, feel free to call our Kalamazoo office at (269) 329-1800. At Abode Building Center, we make it our mission to unlock the potential in every home.